The master-planned community of Hebron 121 Station, located in the Dallas/Fort Worth suburb of Lewisville, now includes 678 multifamily units. LEWISVILLE, TEXAS -- Developer Huffines Communities has completed the 444-unit second multifamily phase of Hebron 121 Station, a master-planned community in the Dallas/Fort Worth suburb of Lewisville. This phase includes one- and two-bedroom apartments, as well as a clubhouse with fitness center and media room, swimming pool, 86-foot-wide grotto waterfall and eight cabanas. The first phase of Hebron 121 Station is fully occupied, and construction on the second phase began in January 2013. 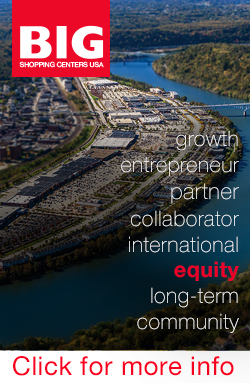 The master-planned community now includes 678 total multifamily units. 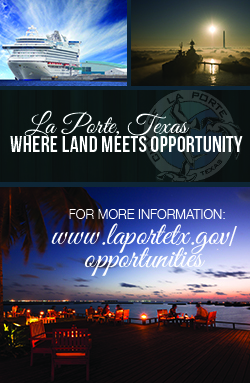 Additional residences, as well as office and retail space, are planned. The project team includes architect Humphreys & Partners, general contractor CF Jordan Construction and manager Pinnacle Property Management. 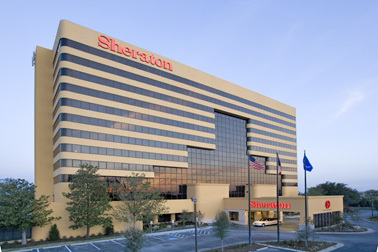 Prism and property owner Stratford Hospitality are undertaking a $7 million renovation of Sheraton Dallas Fort Worth Airport Hotel, including upgrades to the atrium, lobby, dining facilities and pool area. DALLAS -- Locally based hotel investment, management and advisory company Prism Hotels & Resorts has assumed management of the 303-room Sheraton Dallas Fort Worth Airport Hotel. Concurrently, Prism -- along with Los Angeles-based property owner Stratford Hospitality -- has committed $7 million to renovate the property, including improvements to the hotel's three-story atrium, lobby, dining facilities, pool area and guest rooms. This investment is in addition to the recent $1 million in upgrades to the property's Wi-Fi system and guest room bedding. Prism currently manages more than 30 hotels in urban, suburban and resort locations for multiple institutional and private owners. Cottages at Bedford, constructed in 1983 and renovated in 2007, offers one- and two-bedroom residences, as well as a swimming pool with lounging deck, clubhouse and business center. BEDFORD, TEXAS -- ARA has brokered the sale of Cottages at Bedford, a 168-unit multifamily property in the Dallas/Fort Worth suburb of Bedford. 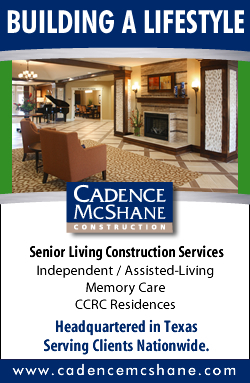 Completed in 1983 and renovated in 2007, the Class B complex includes one- and two-bedroom apartments, as well as a swimming pool with lounging deck, clubhouse, business center and barbecue and picnic areas. 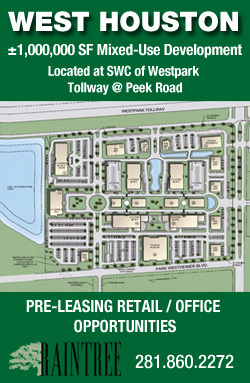 The community, which was 94.6 percent occupied at the time of the sale, is located at 2000 Park Place Blvd., in proximity to I-360, State Highway 183, Loop 820, DFW International Airport and local employers such as Bell Helicopter and Texas Health Harris Methodist Hospital. Brian O'Boyle Sr., Brian O'Boyle Jr., Brian Murphy and Jakob Andersen of ARA marketed the asset on behalf of the seller, Australian fund manager Equiti Capital Limited. Locally based Busboom Group was the buyer. 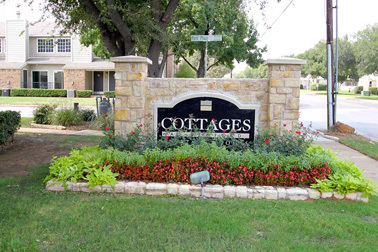 Cottages at Bedford is the company's second Dallas-area multifamily acquisition in the past six months. 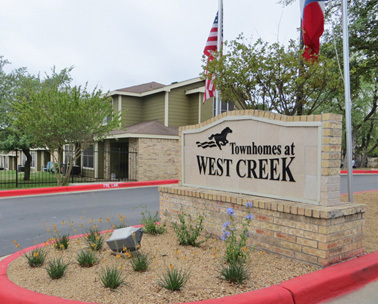 Located at 1297 W. Loop 1604 N., Townhomes at West Creek features two- to four-bedroom residences, as well as a swimming pool, fitness facility and playground. 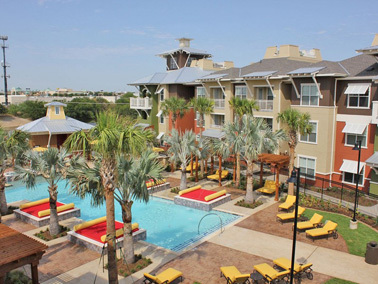 SAN ANTONIO -- Dougherty Mortgage LLC has arranged a $12 million loan for the refinancing of Townhomes at West Creek, a 220-unit multifamily complex in San Antonio. Located at 1297 W. Loop 1604 N., the property includes two- to four-bedroom residences, plus a swimming pool, fitness facility and playground. Dougherty Mortgage's Dallas office originated the 10-year Fannie Mae loan for Westcreek Townhomes Ltd. The Retreat at Riverstone, located in the Houston suburb of Sugar Land, will offer one- to three-bedroom apartments, plus a fitness center, cyber caf�, swimming pool and two dog parks. SUGAR LAND, TEXAS -- Allied Realty has broken ground on The Retreat at Riverstone, a 249-unit multifamily property in the Houston suburb of Sugar Land. The complex, located at 18545 University Blvd., will offer one- to three-bedroom apartments, as well as a fitness center, cyber caf�, swimming pool, grill area and two dog parks. The complex, slated to open in the fall, is the first multifamily development in the Riverstone master-planned community. Wallace Garcia is providing design services for the project, and Orion Real Estate Services will manage the property. 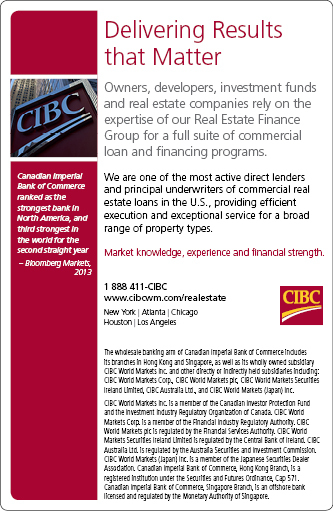 Capital One arranged the construction financing. Laurel Woods, located at 8312 Fathom Circle, offers studio, one- and two-bedroom apartments as well as an amenity package in proximity to U.S. Route 183. 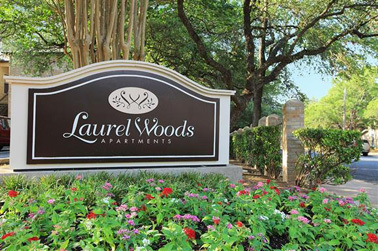 AUSTIN, TEXAS -- Marcus & Millichap has brokered the sale of Laurel Woods, a 150-unit multifamily property in Austin. Located at 8312 Fathom Circle, the community includes studio, one- and two-bedroom apartments, as well as picnic areas, a swimming pool, fitness center and dog park. 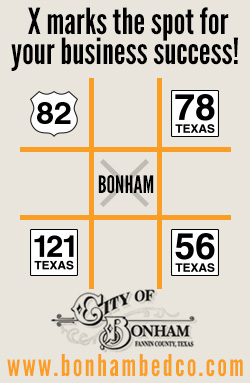 The complex is in proximity to U.S. Route 183. 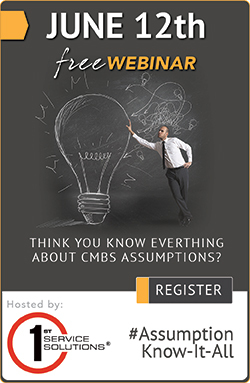 Joe James and Kent Myers of Marcus & Millichap brokered the sale between the seller, a publicly traded real estate investment trust, and the buyer, a Texas-based limited partnership. 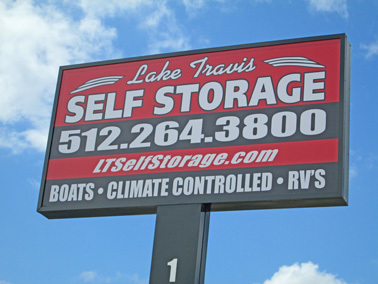 Currently operated as Lake Travis Self Storage, the 569-unit property was 87 percent leased at the time of the sale. San Diego-based Lockaway Storage purchased the asset. AUSTIN, TEXAS -- Bellomy & Co. has brokered the sale of an 89,600-square-foot self storage facility in Austin. 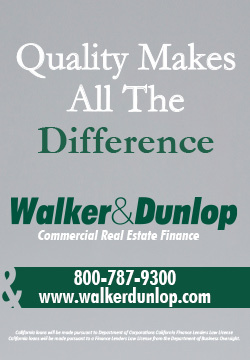 Renovated in 2010, the 569-unit property was 87 percent leased at the time of the sale. 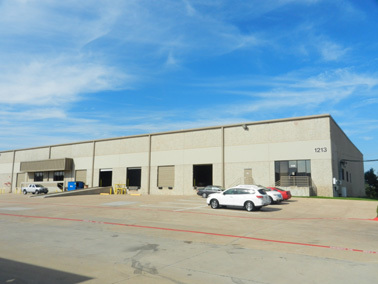 Bill Bellomy, Michael Johnson and John Owens of Bellomy & Co. marketed the asset on behalf of the seller, Lake Travis Self Storage Ltd., and also procured the buyer, San Diego-based Lockaway Storage. NAWF Co., a producer of distribution solutions for the food industry, will occupy space within the facility located at 1213 W.N. Carrier Parkway. 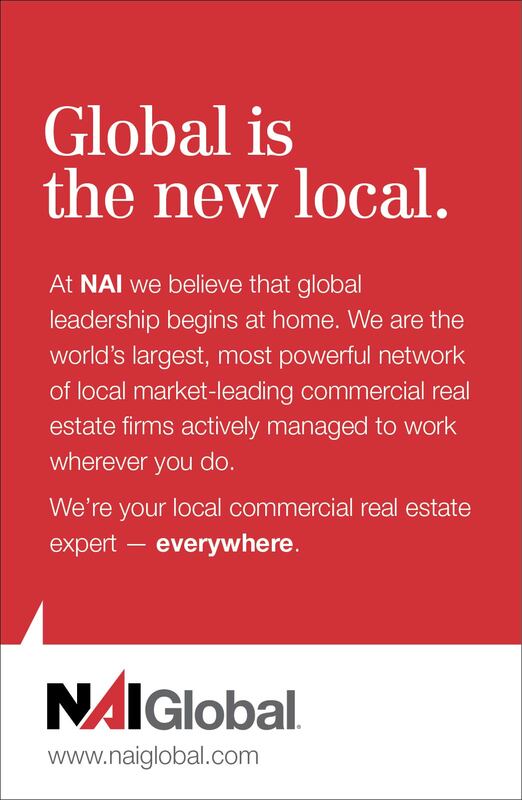 GRAND PRAIRIE, TEXAS -- Lee & Associates has arranged a 76,913-square-foot industrial lease in Grand Prairie for NAWF Co. Inc., a producer of distribution solutions for the food industry. The tenant will occupy space within the facility located at 1213 W.N. Carrier Parkway, which is part of Oakridge Business Park. Mark Graybill and Scott Giordano of Lee & Associates represented the landlord, IndCor Properties Inc., in the negotiations. 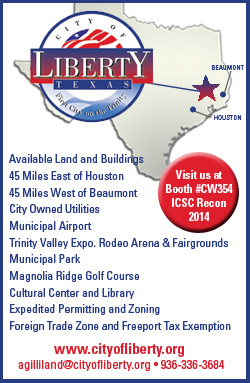 Tim Vogds of CBRE represented NAWF Co. Inc.